Lori utilizes her quality customer skills, strong organizational capability, and her pleasant manner to bring you a one-of-a-kind level of service that you will refer to family and friends. 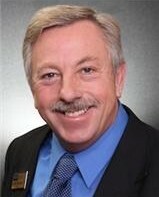 Randy will expertly represent your best interest in all negotiations and communications right until closing day. He goes the extra mile every step of the way! Patrick brings a strong background for the latest technologies and social media skills that will please millenials and baby boomers alike. His determined pursuit of information and detail-oriented approach will undoubtley lead to successful transactions. He’s our rising star! David ensures personal attention and commitment in order to guarantee complete satisfaction to his clients. He will be your lifetime Realtor.